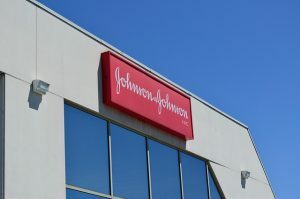 Johnson & Johnson is required to add new warnings to its diabetes drug, Invokana, about the risk of foot and leg amputations, the U.S. Food and Drug Administration said on Tuesday. The warnings include a boxed warning, reserved for the most serious possible adverse events, the FDA said. Now, we see serious questions about an increase in lower limb amputations among patients using Invokana. To be fair to the drug’s maker Johnson & Johnson, these newest concerns are only preliminary. That is, more testing is needed before researchers can clearly link any increased risk of amputations. We have followed Invokana and its impact on Alabama patients closely. We long ago published an initial report about the drug on the Hot Topics section of our law firm website. Invokana (canagliflozin) is marketed to treat Type 2 diabetes. The drug is in a relatively new class of medications called sodium-glucose cotransporter 2 (SGLT2) inhibitors. The drugs Farxiga, Jardiance, Glyxambi, and Xigduo XR are also in this class of medications. These drugs alter kidney function to stop reabsorption of glucose into the blood stream. The FDA approved Invokana in 2013. Since approval, the drug has become a huge blockbuster for its maker Johnson & Johnson. As more and more patients experience these serious problems, the number of Invokana injury lawsuits continues to climb. The U.S. Judicial Panel on Multidistrict Litigation (JPML) has consolidated the cases in Federal Court for pre-trial purposes. Judge Brian Martinotti in the U.S. District Court for the District of New Jersey has been assigned to oversee the lawsuits. Judge Martinotti has been active in moving the claims forward by appointing attorneys to leadership roles on behalf of injured plaintiffs. In a May 1 Case Management Order, Judge Martinotti also outlined his process for selecting “bellwether” cases for early trial. If you have questions about Invokana, the Blackwell Law Firm is happy to provide additional information. Consultations are always free and confidential. We also welcome readers to our blog and articles. We follow developments closely and periodically publish new articles. Many of these articles discuss developments involving dangerous and defective drugs.